Adkins Heating & Cooling provides quality and efficient heating and cooling service, repairs, and replacement to residential homes and commercial businesses in York County, SC. 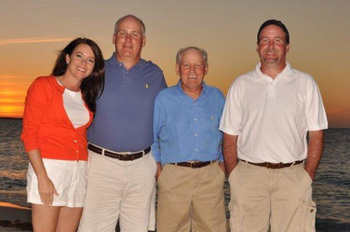 Since 1969, our family-owned business has served Rock Hill, Fort Mill, Tega Cay, Lake Wylie, Clover, York, and surrounding communities. Customer service makes Adkins Heating & Cooling the elite air conditioning and heating service provider in the Rock Hill area. We offer emergency service 24 hours a day, 7 days a week. The technicians at Adkins Heating & Cooling are registered and certified with the state of South Carolina. This means that our technicians have passed a rigorous set of HVAC certification tests. We consider them to be the best of the best among service technicians in the heating and air conditioning business. You’ll always get proper installation, fast service, and a job done right the first time. Adkins Heating & Cooling offers installation and preventive maintenance programs for air conditioning and heating units. We believe that it’s important to service your heating and cooling equipment yearly. This helps you avoid major problems and expensive repairs before they happen. We also offer custom installations and replacements for residential and commercial customers. In addition to our 24 hour service, we can repair all makes and models of heating and air conditioning equipment, including gas packs, oil furnaces, and heat pumps. 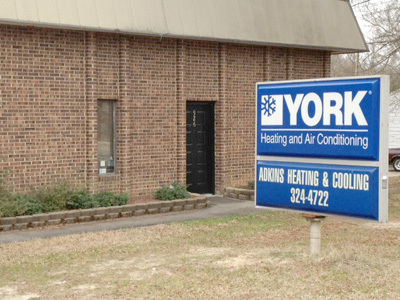 We only use top-of-the-line, name brand equipment from companies like York, Tempstar, and Trane. Call Adkins Heating & Cooling for more information about air conditioning and heating service, repair, and installation. Don’t forget to ask about our yearly servicing! 24 hour service available. Cash, checks, Visa, MasterCard, and Discover accepted.